Here is a shot of the Super Moon I took earlier this month. My first thought was to add the famous “One small step for man…” quote but then I came across this one. 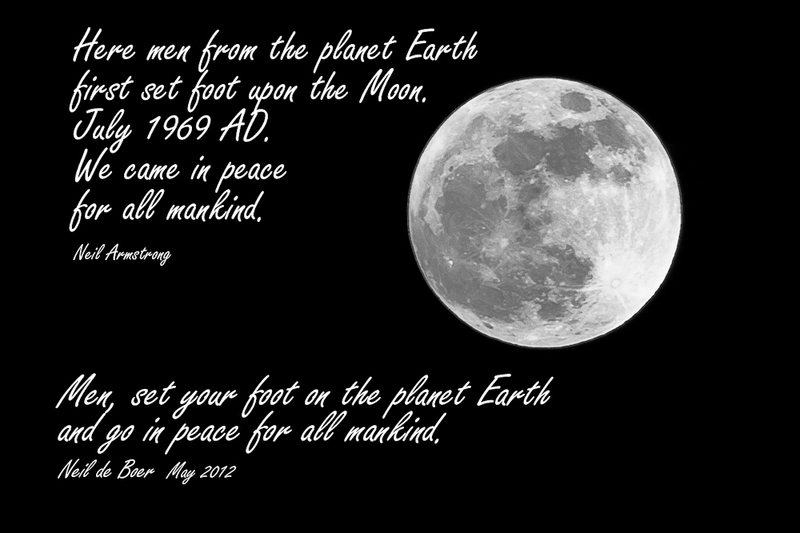 I couldn’t help think if we can go to the moon in peace for all mankind why can’t we go in peace right here at home?